Gothic Paperweights - Crafted Of Stainless Steel, Solid Knuckle Duster Design, Variety Of Designs | BUDK.com - Knives & Swords At The Lowest Prices! A Gothic cool addition to your office desk or pants pocket, our Gothic Paperweights put a hurtin’ on any unruly paperwork that comes your way! 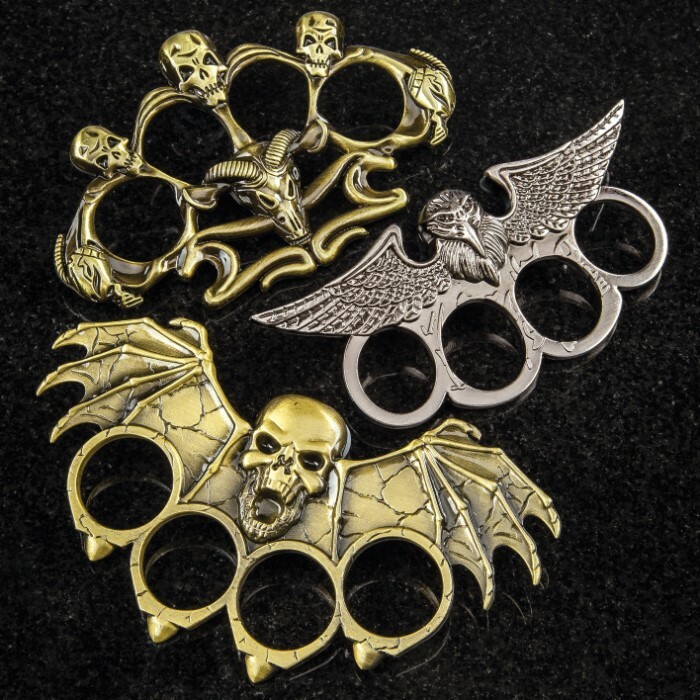 Crafted of one, solid piece of stainless steel, each has an aged finish and is in the shape of a knuckle duster. The Gothic-themed designs are sculpted in intricate detail around the finger rings and come in a variety of sizes and shapes.